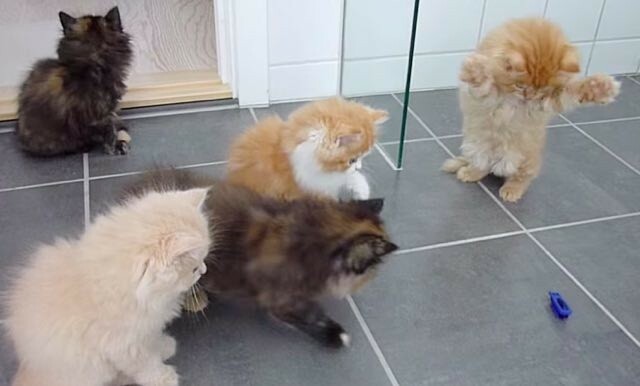 Fluffy Kittens Spot An ‘Intruder’ And Immediately Begin Some Serious Probing! You can rest assured that these five fluffy kittens will protect you from any unwanted guests in your home! Not convinced? Then just watch as they all pounce the blue bug that has found itself in their home. Okay, so, it is not a real bug, but these are just kittens, and you have to start small! These are Persian ‘guard’ kittens in training. 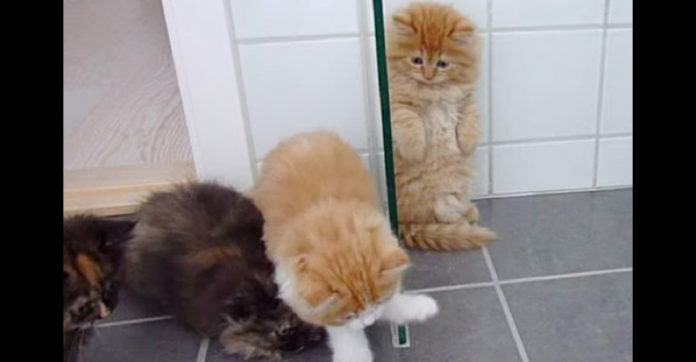 Notice how they work as a team, and the one little ginger kitty stands up on his hind legs to – well, not sure why he did that – he may have been scared! You can imagine him screaming “EEEK a creepy crawling thing!” Keep in mind that these kittens are just starting out in the bug attacking business and may not truly understand what a ‘bug’ is yet.